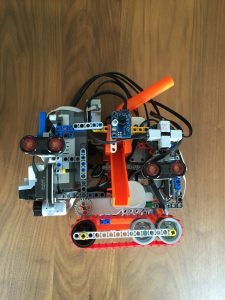 We have built a maze-navigating robot to simulate a rescue. Our robot finds all the maze’s heated victims and gives them rescue kits before returning to it’s starting tile. However, the robot must also avoid various obstacles during its journey. We have built a maze-navigating robot to simulate a rescue. The objective for our robot is rescuing all victims by dispensing a rescue kit. Our robot navigates every tile of a maze consisting of 30 cm by 30 cm tiles to maximize the heated victims it detects. The robot must overcome various obstacles including 1 cm debris, 1-2 cm speed bumps (fixed debris which can appear on walls), and large obstacles (maximum 20 cm by 20 cm). Once the robot is done with its navigation, it must return to the starting tile so humans can rescue and reuse the robot. I am Julian Lee. I am 13 years old and I have just started 8th grade. I have always been interested in problem solving, and my passion for math and science led me to robotics. My contribution to this team has mostly been geared towards software and working with sensors. 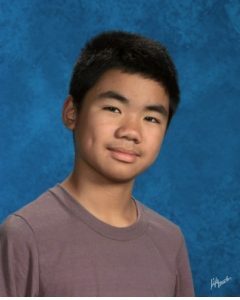 I am Jeffrey Cheng, and at 13 years old, I have helped design this maze navigating robot. Robotics has always been an important part of my life because of the fun that comes out of puzzle solving. My interest in puzzles have led me towards the path of software, and creating our maze navigation algorithm was my role in this team. My name is Stepan Gorelenkov and I have just started 9th grade. I go to Montgomery High School and my hobbies are playing ice hockey and doing robotics. I like robotics because it challenges me and because i like making stuff to do a task.